student athletes succeed in the right direction and most importantly in life. Here are some tesimonials that Mr. Carter has received! do not know how to do when to applying to school with the attention in playing sports. North and South all star game have been recieved to various colleges. Aaron have had exposure to many open gym unsigned clinics for seniors. the reason why I attending Cleveland State Community College. the necesssary phone calls that eventually landed me to a full scholarship. truly recommend him to any one who is SERIOUS in playing college ball. I just wanted to drop you a note concerning my daughter Sarah Tabb and your showcase. 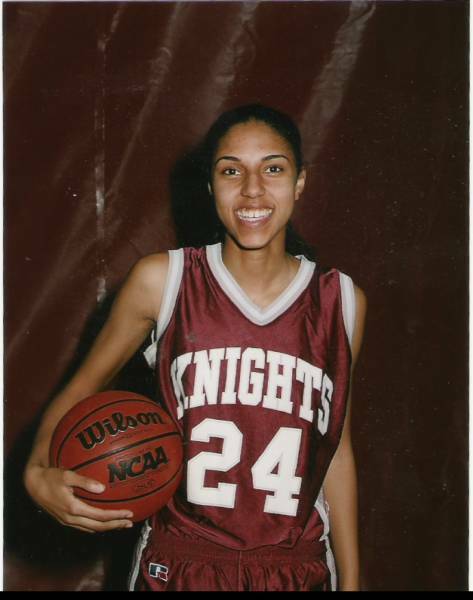 The summer of Sarah's rising senior year we were at a crossroads on how to proceed with her basketball future. She knew she wanted to play past high school, but was only getting sporadic inquiries from coaches. its only up the road in Petersburg.We came up ,signed up with a very helpful staff and played 3 games. 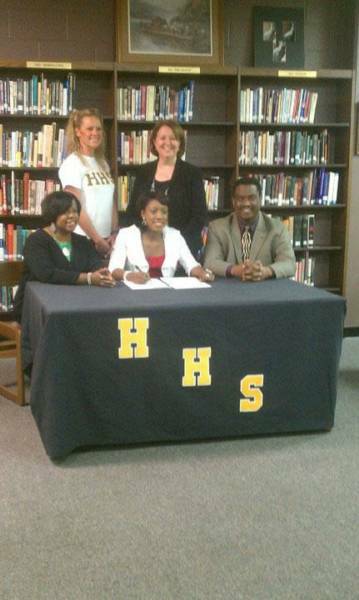 for her signing,All she needed was a place to shine that your program gave her that . provided son with the best opportunity to obtain a college scholarship. I mailed a lot of game time video of my son to several college coaches . to the college. He recently signed his letter of intent to Belmont Abbey College . When I called and told Mr. Carter the news he was genuinely happy for Richard. development could muster. His programs should be a testament to evry coach, parent, athlete and administrator who truly believes in helping others." Father of Richard Barbee Jr.
would play a important part in my future. By attending the workouts he organized for students without scholarships offers , I was discovered by the head coach at Fayetville State University . He offered me a scholarship and I accepted it. Not only was it true for me, it was true for a whole lot of other student athletes at the workouts. while giving us a chance at a future. I can see my myself following in Coach Carter shoes ,helping those students who for what ever reason almost missed out going into college,while at the same time playing the game loved by many, basketball. Thanks Mr. Carter and remember each game I win will be for you because with your efforts and organizations of the work out sessions, there will be other doors that open for many more like myself. You are the "man" behind my success. 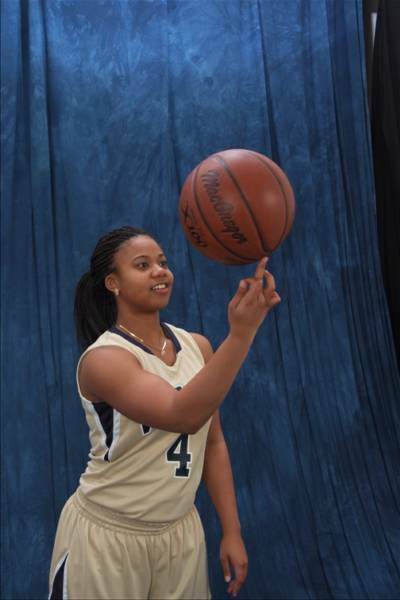 my daughter Tonya Clark will have the opportunity to both further her education and play basketball. 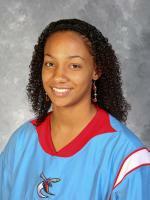 It was at Mr. Carter’s showcase that Tonya was scouted and recruited by many DI and DII colleges. to Mr. Carter’s Assist Student Athlete program. A.S.S.I.S.T. Student Athletes is an organization that changes lives. This program aides youth in obtaining scholarships to college. With that education; these young people will undoubtedly progress further. How do I know this? They assisted my son. 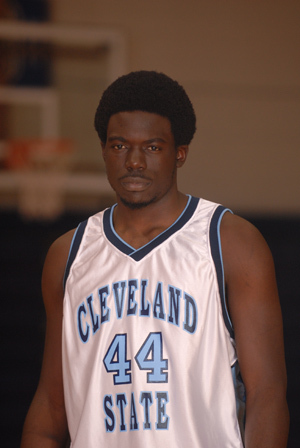 He is now a student at a Division I Junior college with a wealth of opportunities now available to him. What impressed me the most about A.S.S.I.S.T was the undiminishing support and persistence of William Carter, the organization’s founder. Time and time again, he contacted schools, striving to get the correct match of college and student. He did not waiver in his attempts to help; nor in his confidence that a scholarship and program would be found. In talking to the coaches of the various schools Coach Carter’s reputation of matching students and colleges was additionally impressive. The college coach’s felt he provided the quality recruits, increasing their confidence in the outcome within their recruitment process. A.S.S.I.S.T – which is an acronym for Athletic Scholastic Support Initiative for Securing Success Tomorrow – has helped more than 170 students obtain scholarships in the last two years. The organization includes mentoring, seminars and tutoring – all to prepare today’s youth for tomorrow’s future. Once these students have gotten into these various colleges, it is my understanding that their progress is tracked and help given when needed to secure that child’s future. I am proud to recommend this organization to parents and students within our community. I am honored to know William Carter and feel my son is privileged to have be one of those they helped. 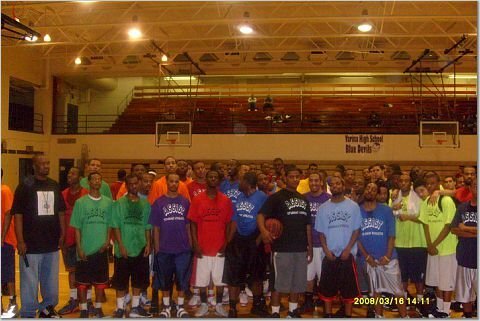 players because my highschool didn't have a basketball team my senior year. they wanted to seea tape of one of my games from my senior year. calling college coaches and setting up college visits. and I am currently working on getting my degree in Health and Fitness." William Carter is phenomenal; the ASSIST organization went above and beyond to assure that our players, at Bayside High School , gain valuable recognition from college coaches to continue their education and basketball careers at the collegiate level. 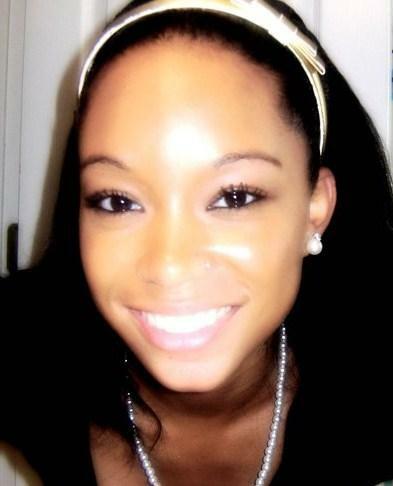 The ASSIST organization was truly a blessing for my daughter Jontée Lindsey. With the help of Mr. Carter and Mr. Copeland, my daughter was offered full scholarships to three universities; Claflin University (Orangeburg, SC), Virginia Union University (Richmond, VA) and Bloomfield College (Bloomfield, NJ). She entered the ASSIST program during the summer before her senior year in high school. She attended a few showcases sponsored by ASSIST. It was at the showcases that she was seen by the coaches from the above named institutions. She visited all of the schools and decided to attend Claflin University. Mr. Carter and Mr. Copeland were very instrumental in getting Jontée into a school doing what she wanted most……..playing college basketball. They have taken it upon themselves to match student athletes and colleges/universities. Most kids that participate in high school sports dream of playing their sport at the next level. This organization turns that dream into reality. This certainly was the case for my daughter. She is now living her dream of playing basketball in college and my dream of not having to pay college tuition. On behalf of Rashida Scott and myself, I would like to personal thanks you and the ASSIST program. 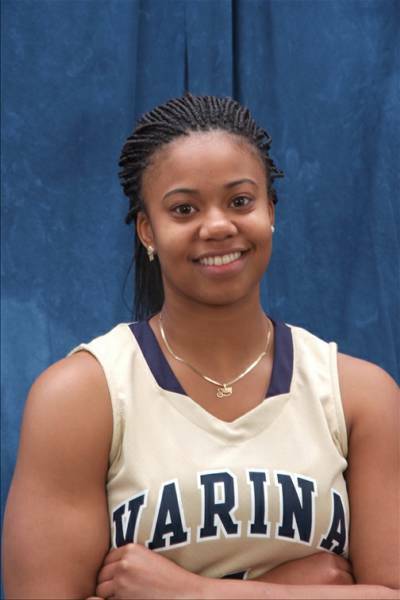 scholarship at North Carolina A&T, Coach Robinson offered her a position on th eteam as a walk-on. I think what you and your staff provide to the community is a Blessing and is a postive impact on the community. you never gave up on me and i really appreciate that. as well as scholarships for basketball and volleyball. Thanks for caring and keep up the good work!!! Just wanted to express my sincere appreciation for the wealth of knowledge you and your non-profit organization provided my daughter and I. We walked into the first girls basketball showcase literally knowing nothing about the recruiting process. We were also a little baffled as to how and why anyone in this day in time, who is not wealthy, would assist so many athletes with their dreams without seeking personal financial profit. I have been to showcases where it was clearly a money maker. It's so unfortunate because it is known that parents will do anything their money can afford for their children.So many showcases are asking for a minimum of $125. Yes, these other organization have their little informational class for the athletes, but how many of these kids really take action without the help of their parents? Most parents who have talented athletes think, if their child is a showcase participate and they do well, they will be picked up by a college, university or junior college. There are so many reasons why he or she many not get picked up or even noticed. Being a part of assist student athletes has helped my child be recognized by enough college coaches that we were able to select the school that would fit her best. I hope you continue to do what you do for children in Virginia. I can't thank you enough. In my years as a scout and now a college basketball coach, William Carter and Assist Student Athletes have been an integral part of my success and the success of several high school basketball players all over the country. I’m still floored by the effort that Mr. Carter puts into enriching the lives of youth by giving them the chance to pay for a college education that will carry them for the rest of their lives. Year after year Mr. Carter has helped athletes and their families save many hundred thousands in college tuition. He does all of this without asking for anything in return. He generously gives of his time and money without bias and restrictions and I’m honored to call him a friend and colleague. Hi this is Courtney Braxton from Princess Anne High School. Your program is outstanding for athletes who are under the radar and it gave me an opportunity to be seen by many colleges. There was a low price for attending your showcases and it was well worth it, I liked playing in one gym because all the college coaches were watching everybody at once. Once again thank you and my dad and I will be telling people about your outstanding showcases. I’ve been going to Coach Carter’s showcases since I began coaching college basketball. I have found good players every year and more importantly good people. Coach Carter is an outstanding person and I commend him for all the help he has given young people looking to better themselves both academically and athletically. Mr. Carter words alone can't sum up all you've given to the Richmond Community. Please accept our sincere gratitude regarding all the work and labor you've provided our daughter Kyra Coleman of Highland Springs High School. It was coming close to signing time and we were still hanging in the air. I can hear your encouraging words in my ear staying ( Mrs. Coleman don't worry I got you.) After Kyra participated in your showcase the phone wouldn't stop ringing, actually the calls started that very same evening truly impressive. Because of your hard work and persistence along with your honestly. It is with great pleasure that I announce to the world Kyra will be attending COPPIN STATE UNIVERSITY!! on a full scholarship in the fall. At the end of the day Mr. Carter you saved my husband and I over $150,000. Wow, that's a lot of loot!! Kudos!! to you and your staff Mr Carter, your organization is phenomenal; I personally pray that GOD continues to bless you and your staff above and beyond what you can ever imagine. Knowing all the many blessings you've given others during one of many long days and sleepless nights. I pray that with your next endeavor that GOD would show up and show out! I believe that your cup shall runniest over with nothing but networking favor, and blessings from the Lord. Again, our family would like to express our appreciation to Mr. William Carter and the staff of Assist Student Athletes, words alone can't sum it up KUDOS!! Over the past five years I have recruited student-athletes from nearly every state in the United States and have been involved with hundreds of High School and AAU coaches and programs. I feel very fortunate to have had the opportunity to work with William Carter and the A.S.S.I.S.T. Student Athletes program on a regular basis. I have made numerous trips to the A.S.S.I.S.T. showcase events and am always impressed with the organization and effort that is made to insure a great recruiting environment for a college coach. The message that the young men receive from the A.S.S.I.S.T. program includes academic guidance as well as basketball instruction. I am always confident that if a young man has been involved with Coach Carter he will be a true student-athlete who will be an asset to our institution on and off the floor. My trust in the quality of young men that come from the A.S.S.I.S.T. program is the single biggest reason that I come back looking for student-athletes from this area year after year. I truly believe that any young man who has the goal of becoming a collegiate student-athlete would greatly benefit from being associated with William Carter and the A.S.S.I.S.T. Student Athletes program. I would like to thank you again for the time and effort that you put into assisting Leslie Slayton (Dr. Henry A. 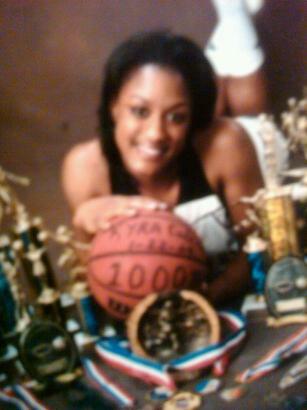 Wise, Class of 2010) during the recruiting process. Leslie attended the A.S.S.I.S.T. Hagerstown Tournament and we felt the level of athleticism and competition was very strong. 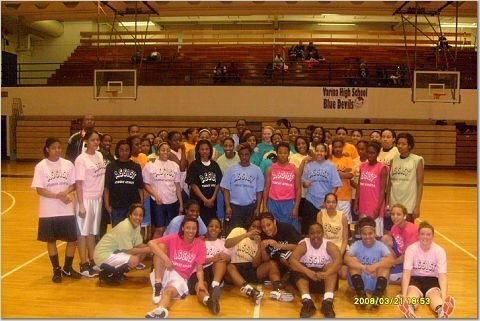 The girls’ tournament was well attended and several college coaches contacted Leslie during and after the event. In addition, you provided information regarding several additional A.S.S.I.S.T. tournaments, and kept in close contact with Leslie and our family during the hectic recruiting process. You continued to provide interested coaches with your professional assessment of Leslie and you were a great help in getting Leslie signed with Virginia Union University !! Niya and I wanted to tell you thank you for your hard work and dedication in helping her find a school. She will be leaving on the 1st. Your unrelentless efforts are greatly appreciated. Niya especially appreciates how you believed in her and never doubted that she would get signed. We can't thank you enough. May God continue to bless you and yourgreat program. Pictured is Olivia Coleman and family . My family and I would like to thank you Mr. Carter for all you are doing for the student-athletes in the community. You put in a lot of your time for our young people, allowing them an opportunity to obtain scholarships for college to further their academic and athletic careers. We appreciate you and all that you do. Thanks so much!! A true hero in the D.C., Maryland, Virginia area! William Carter, ASSIST Student Athletes has helped thousands of students get into college and obtain athletic scholarships. When we first met Mr. Carter, we were impressed by his dedication and commitment to helping kids achieve their goals to play college level basketball, football, etc. He always has coaches from various levels in attendance at his scouting events and kids are mostly signed on the spot! Thank you “Coach” Carter for your hard work and dedication to helping others achieve their goals! Mr. Carter, I would like to thank Mr. Carter and the A.S.S.I.S.T program for creating a way for my daughter and many others to achieve their goals. 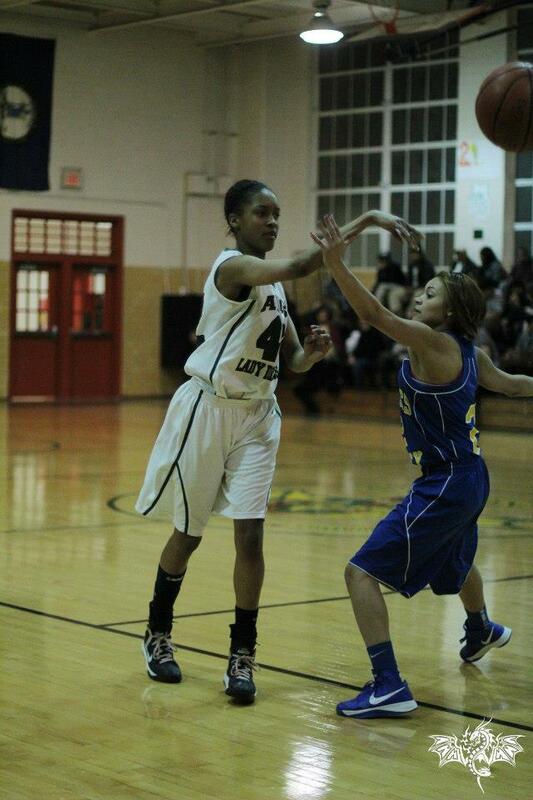 My daughter Raneka Dunaway heard about the program from one of her AAU team member. She attending one of the showcases with her father back in 2009. Mr. Carter saw how she played and took immediate interest in her. He gave me a call the same night after the showcase and told me he will be contacting us with upcoming showcase information. I thought he was bluffing. Well he called my bluff. He did indeed contacted us making sure Raneka attending majority of the showcases. He knew she traveled with the AAU team and those showcases she could make she did. When he found out she still didn’t sign to a school after graduating, he gave me a call to find out why. These are words he said to me “ Ms. Dunaway make sure Raneka come to as many showcases as possible. She is a awesome player and has plenty of potiental. I will get her signed before school starts. You got my word on that.” My daughter became weary because she had no idea where she was going to school. The last showcase Raneka attend there was the head coach of Harcum College she explain to me they were a Junior College and they was interested in her. 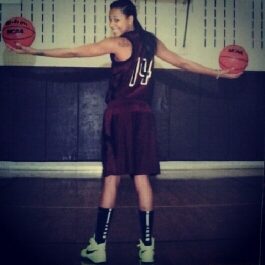 Finally Raneka did sign with Harcum College in Pennsylvania. This was a opportunity she was over looking and never considered. It has opened her eyes, she see’s a Junior College should never be overlooked. This is a great opportunity for anyone having a hard time getting into a 4 year college for whatever the reason may be. Opportunities are out there. I am thankful for Coach Carter helping me get in school . Before he came I had no offers. He found a school for me quickly free of no charge. He is a great man and I am thankful for what he did for me . I would like to take this time to thank Assist Student Athletes (ASA) in all their help in assisting my son Jalen.Jalen is a basketball player. Although he was being recruited nothing really solid came out of anyof it until Mr. Carter stepped in. Jalen attended a couple of ASA shoot-outs and with the calls thatMr. Carter made, the outcome was in my son's favor. 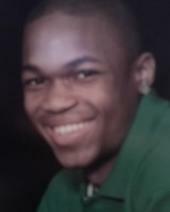 Mr. Carter was always available by phoneto answer any questions my son or myself had. It was Mr. Carter who was instrumental ingetting Jalen an opportunity for a "work-out" and ultimately a ride to attend Brunswick CC in NC.So far, the Coach is great, Jalen is doing well and is happy with his choice. Thanks Mr. Carter for all your hard work and assistance with helping my son with this endeavor. It was truly a Blessing!! In the beginning of my son last year in High School I had some idea but not the total package of getting Braxton Evans to the next level. Braxton had broken many records his senior year, but after the celebration it was clear that the next level was in sight but we needed assistance. I then contacted Mr. William Carter and immediately the phone calls starting coming. The calls range from DI to JUCO DIV 1. Initially I didn’t think JUCO was a fit for Braxton. My rational was that he was the 2nd ALL-Time Three Point Shooter in the State of Virginia, broke several Christmas Tournament records, broke several records at his High School (Prince George), but let me say this, JUCO DIV 1 was the perfect fit for him. Coach William Carter hosted one of his many Show-Cases in the Virginia Tri-Cities area. There was Coach Grafiel from Colby Kansas we never heard of the place, but this day at the show-case has change my sons life forever. 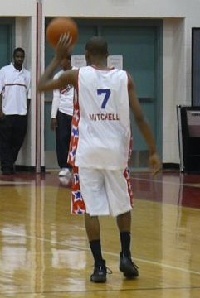 Braxton is the leading scorer for his team, Braxton was named player of the week (Nov 2012). Here is my testimony, if anyone is looking to live their dream….Make sure you are in contact with Mr. Carter. Don’t worry about the fee, it is minimal for what he will bring to the table. Mr. William Carter thank you for all you have done! TALENTS TO THE NEXT LEVEL, THANK YOU SO MUCH. I'd like to thank you for your tireless efforts in helping student athletes fulfill their dream of becoming college athletes. That dream came true for my daughter Paris Brower, she has received a scholarship to play basketball and continue her education at Radford University! As a high school coach I would highly recommend any serious student athlete and their parents become a part of the Assist Student Athlete family. The showcases are always well attended by coaches from all levels and Mr.Carter and his staff are well respected by college coaches as evaluators of talent. It takes a village to raise a child. The same can be said for the recruiting process. Mr. Carter and his staff have a wealth of knowledge and resources that will only enhance what parents and coaches can do for athletes in the recruiting process.